Liverpool forward Mohamed Salah will be fit to play some part in Egypt's World Cup campaign, his country says. Salah injured his shoulder during Liverpool's Champions League final defeat by Real Madrid, prompting concerns he might miss the tournament. But Egypt's national team doctor has met Salah, and the country's football association said the striker's absence "will not exceed" three weeks. Egypt's opening World Cup fixture is against Uruguay on 15 June. 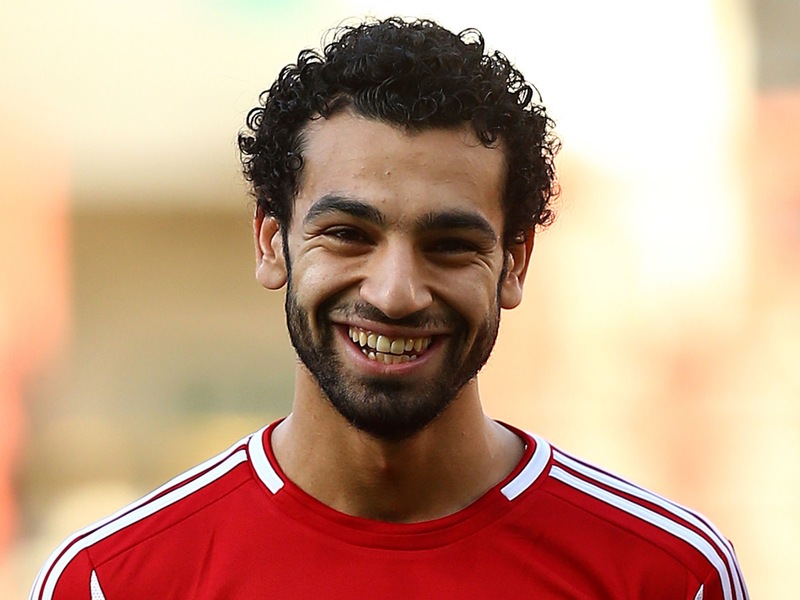 Salah, 25, met the national team doctor and Egyptian FA president Hany Abu Rida in Spain. The Egyptian FA tweeted afterwards: "After the meeting of Abu Rida and the doctor of the national team in Spain today, the Football Association reaffirms Salah in the World Cup, God willing, will not exceed the absence of three weeks." Based on the Egyptian's FA's assessment, Salah's fitness looks touch and go for the team's second fixture against Russia on 19 June but he should be fit for their final group fixture against Saudi Arabia on 25 June. Salah struck a 95th-minute penalty in Egypt's final qualification game to send them to the World Cup for the first time in 28 years. But in the final fixture of a season in which he scored 44 goals for his club, he left the pitch in the Champions League final in tears after landing heavily on his shoulder during a challenge with Real Madrid's Sergio Ramos.